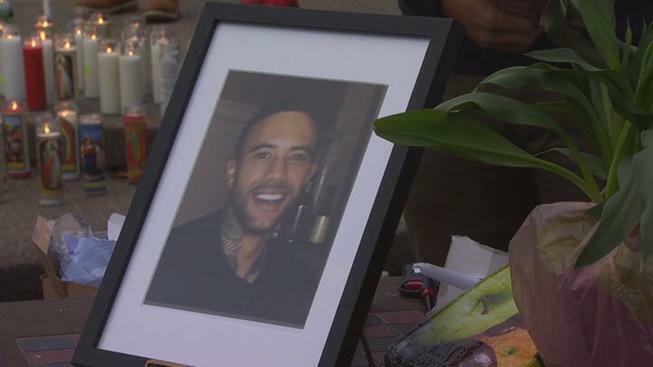 NBC Bay Area has learned that three people have been arrested in connection with the murder of 27-year-old Keith Green, a father and Millbrae resident. One of the suspects who was arrested was Tiffany Li, Green's ex-girlfriend, according to Green's mother. According to the police department, Li was arrested for conspiracy to commit murder and murder. Another man, believed to be Li's boyfriend, has also been arrested, sources close to the family said. Details on the third suspect were not immediately available. The sherrif's department is not commenting on the case, but neighbors say that an early morning police raid in Hillsborough is related to the murder investigation and arrests. The noise caused by the raid woke up neighbors. "Around 3:30 a.m, I woke up, my husband woke up, a lot of the neighbors woke up, because there were police cars surrounding the house on the street. There were police officers in my yard," neighbor Anna Lipton said. "They had a loudspeaker. They were asking for a female suspect to come out." Lipton called the experience upsetting. On April 28, the day Green went missing, he left home without his wallet or car. The next morning, his cellphone was found by a hiker in San Francisco's Golden Gate Park. At the time, police sent out news releases asking the public for help locating him. His body was found in the Sonoma area last week, and police at the time said they believed it to be a homicide.